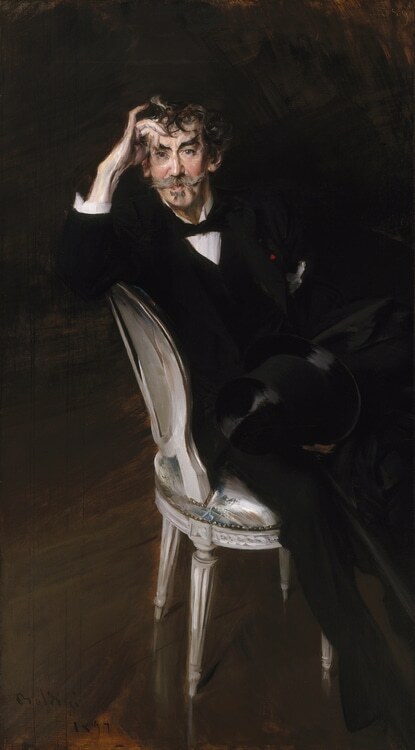 Sargent (1856–1925) became the most sought-after portraitist of his generation on both sides of the Atlantic. Born in Italy to American parents, he traveled the world in search of subjects and worked professionally for more than 50 years creating vibrant, lively paintings. His assertive portrait of Carmen Dauset (pictured at left) commanded the attention of critics and museumgoers when it was displayed at the Art Institute in 1890 and helped put Chicago on the map as a center for contemporary art and culture. [Sargent was] busy all the time—at white heat always, rushing from one place to another. 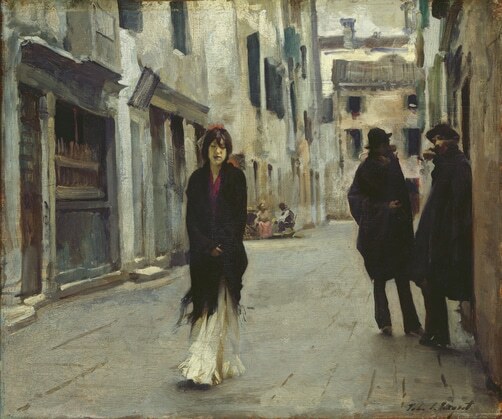 This painting, Street in Venice, was exhibited in Chicago in 1888, marking the first time a work by Sargent was shown in the city. Over the next four decades, dozens of paintings by Sargent traveled to the city for exhibition, including at the World’s Columbian Exposition in 1893. 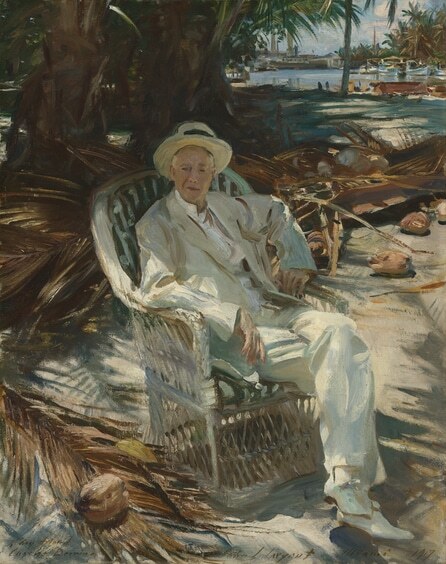 Prominent Chicagoan Charles Deering (pictured here) was both a lifelong friend and important patron of Sargent. Other local collectors likewise brought paintings by the artist to the Midwest and ensured a rich Sargent legacy for the city. Sargent lived and worked among a large circle of artists and friends, including Claude Monet and Giovanni Boldini. These artists learned from one another, swapping roles as sitters and models, sharing art, and nurturing important contacts and deep friendships. 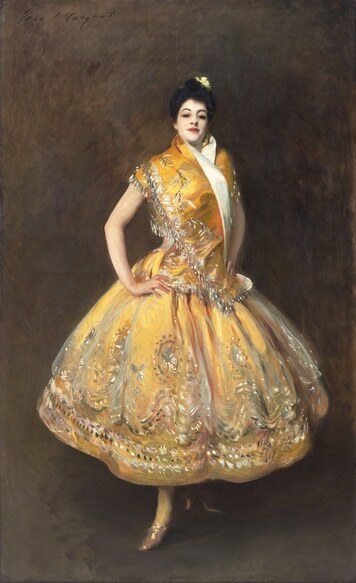 While best known for his remarkable portraits, Sargent pursued a wide range of genres and media throughout his career. 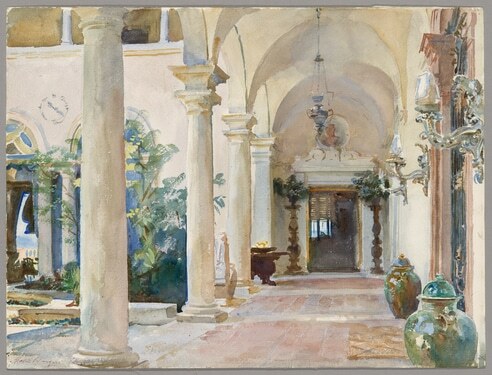 After stepping away from portrait commissions in 1907, he continued to enjoy broad success—with his fellow artists, patrons, and the public—as he created landscapes, watercolors, and murals. It was such an experience to see him paint, every stroke telling. Lead individual sponsorship is provided by Ann and Samuel M. Mencoff. Lead foundation support is generously contributed by The Chauncey and Marion Deering McCormick Family Foundation. Major support is provided by the Shure Charitable Trust. Additional funding is contributed by Patricia Hyde, The Suzanne and Wesley M. Dixon Exhibition Fund, and an anonymous donor.